Welcome to the website of Regina Coeli Roman Catholic Parish in Toledo, Ohio, Fr. John Miller is our pastor. 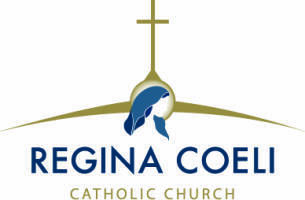 Regina Coeli Parish, inspired by the Holy Spirit, under the patronage of the Blessed Virgin Mary, is a Catholic Community gathered in the name of Jesus Christ to serve God. Our Mission is to pray, teach, serve and support one another to live the promise of our baptism, continually building God's kingdom. Queen of Heaven, Pray for Us! We invite you to join us at our celebration of the Eucharist! Please watch the 2019 ACA Video! Click here. Holy Days of Obligation, consult bulletin. Closed on Good Friday, Memorial Day, 4th of July, Labor Day, and all other major holidays.